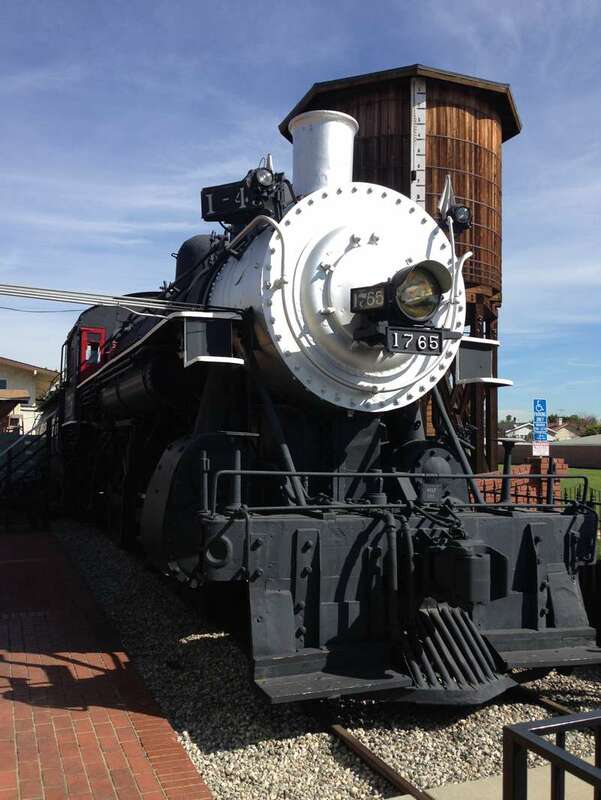 This class M-6 Mogul 2-6-0 #1765 was built in 1902 by the Baldwin Locomotive Works in Philadelphia for the Southern Pacific Railroad. This is generally a freight type locomotive, but 1765 was also equipped for, and sometimes used in light passenger service. This locomotive ran between Los Angeles and San Bernardino and on several Los Angeles local runs, including Seal Beach, El Segundo and Torrance. It was occasionally assigned in helper service over the Soledad Canyon summit to Palmdale. The last major overhaul, including new tires on the drivers, was in 1953. 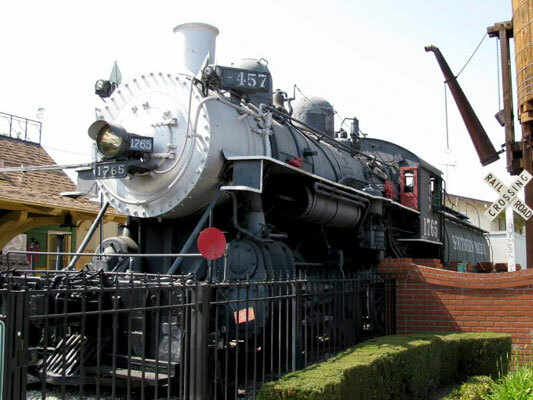 The engine was decommissioned in 1958 and stood in the scrap yard at the National Metals Company on Terminal Island until purchased by the City of Lomita for the museum. The locomotive weighs 157,000 pounds empty: 174,000 pounds fully equipped with water in the boiler when in operation and carries 150,000 pounds on its 63 inch drivers. The cylinders are 21 inch bore with a 28 inch piston stroke and operated on about 180 pounds of steam pressure. The engine burned fuel oil. Stop by the museum, spend time in the locomotive cab and see what the engineers view was like. Learn about how this locomotive was brought to the Museum in our special article: The Great Move of 1967.